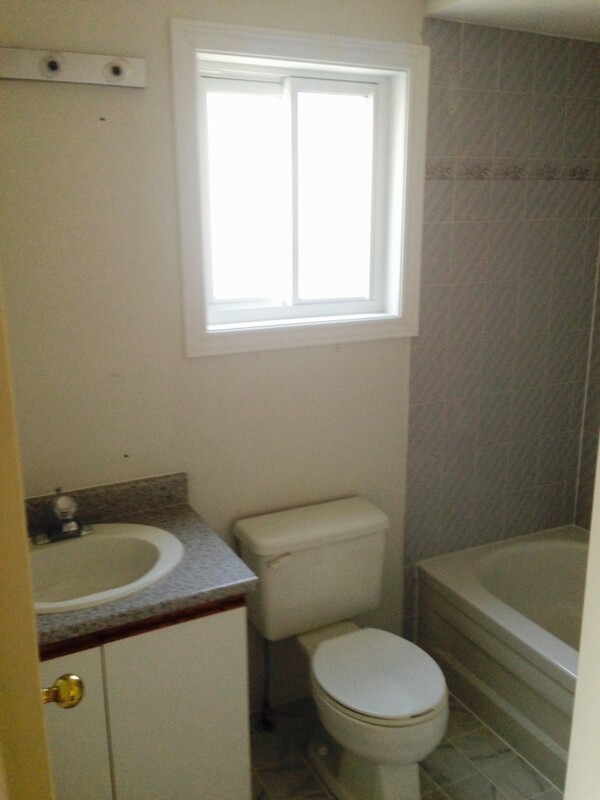 Lee and Raymond asked Fresh Reno to demolish two adjoining bathrooms and turn the space into one awesome bathroom that includes a stand-up shower and walk-in tub. Day 1: One of the bathrooms before demolition. Day 10: Electrical and plumbing rough-in is done. Drywall and sub floor is installed. Drywall mudding to start on Monday. That’s the walk-in jacuzzi tub at the far end. 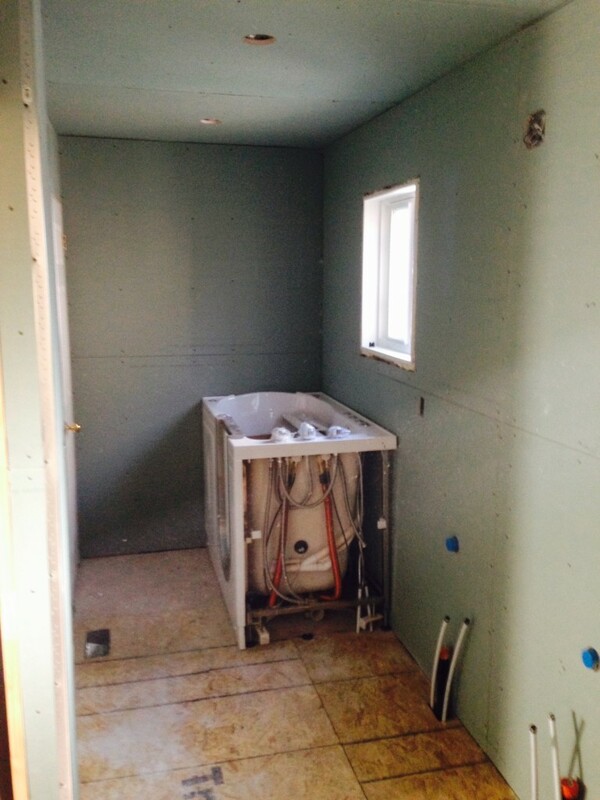 Day 12 of turning two bathrooms into one: This will be the shower. 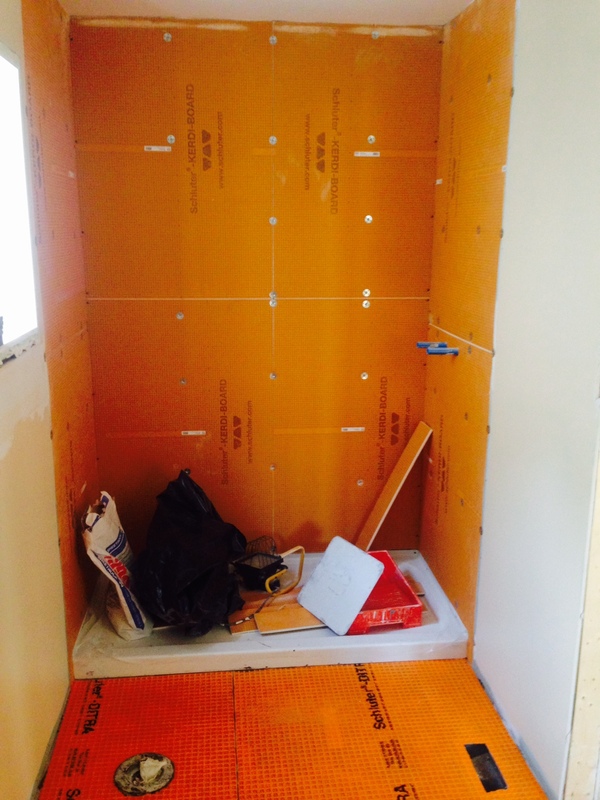 We’ve applied a Ditra floor membrane and Kerdi board shower wall system. Tiling begins tomorrow. 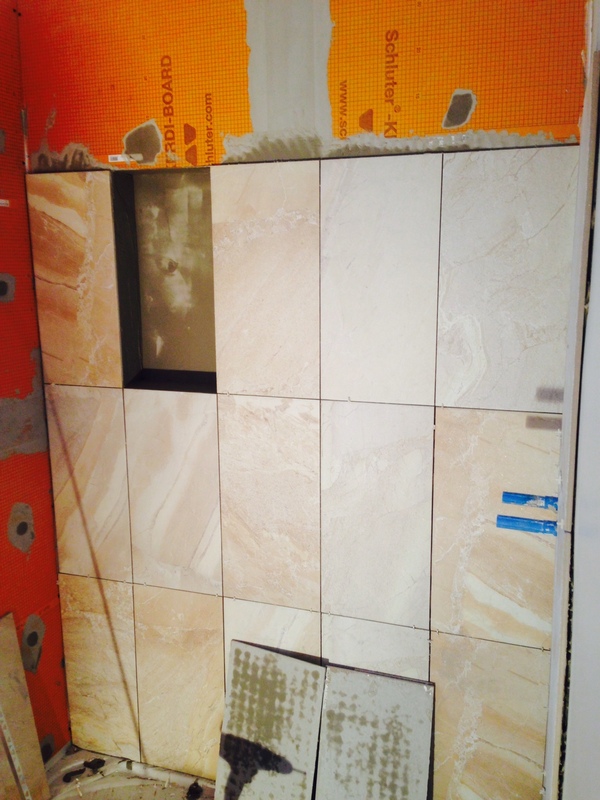 Day 13 of turning two bathrooms into one: shower wall tiles going in along with a recessed storage area. Day 20: Walk-in jacuzzi tub installed. Day 20 of turning two bathrooms into one. Done!